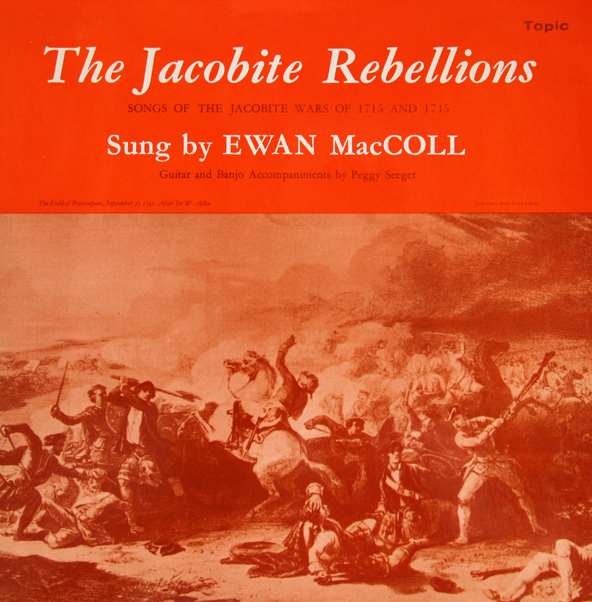 Songs of the Jacobite Wars of 1715 and 1745 sung by Ewan MacColl with guitar and banjo accompaniments by Peggy Seeger. ‘These songs recall a social order which has long since passed away under the wheels of the locomotive, the arterial road, the factory, and the hydroelectric power station. They recall the bravery of men who died for a cause in which they believed. 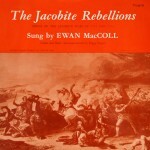 And above all, they recall the loyalty felt towards the young prince who, with grace and charm, came to lead the clansmen in his fathersâ€™ cause; and who, though doomed to failure, won the hearts and devotion of men and women in his own generation and in those which have followed..
15 Will Ye No Come Back Again?